1. Black Male, wearing all dark colored clothing, and a blue New York Yankees baseball hat, black collar length curly hair, carrying a large knife. 2. 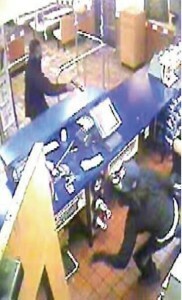 Black male, wearing all dark clothing and a dark bandanna or mask up to and covering the nose, close cut black hair, carrying a black semi-automatic handgun. 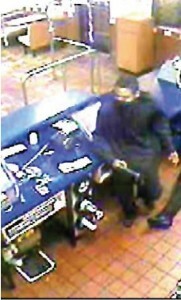 The Harford County Sheriff’s Office has released new information regarding a June 4 armed robbery at a Kentucky Fried Chicken in Edgewood. 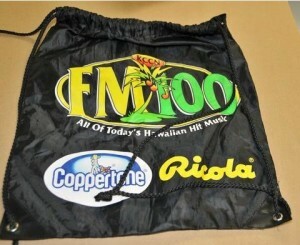 Police recovered a black nylong drawstring bag with a KCCN FM100 Radio logo. 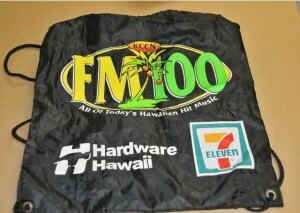 A radio station in Honolulu, Hawaii.